We accept most PPO insurances: Delta, Cigna, Aetna, United Concordia, Ameritas, BCBS, Careington, and many more. Excellent dental care should be affordable for everyone and at Ora Dentistry, we have wonderful financial options for your budget. Whether you are a young family or retired on a fixed income, we offer options to fit your budget. 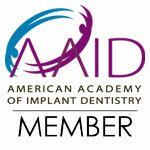 We accept many types of dental insurance and offer a Dental Savers Plan, financing and payment plans. Everyone deserves a healthy, beautiful smile and we make it possible at Ora Dentistry. Your dental insurance should help you get the oral care you need at an affordable rate. Our team will help you make the most of your plan. Our office staff is experienced at working with a wide variety of dental plans and we will help you get the most out of your insurance money. We make it easy by working directly with your provider; we can usually submit your claim forms for you, making it simple to use your plan. Call today to find out if we accept your dental insurance – most likely, we do. For those that do not have insurance or need services not completely covered under your plan, we have other options to make dental care affordable. We have a Dental Savers Plan for those without insurance that helps cover preventive care and offers discounts off dental treatments. We also offer financing through CareCredit and payment plans for any expenses not covered by your insurance. Anyone can get excellent dental care with our flexible finance options. Never let finances get in the way of receiving the best dental care available. Contact Ora Dentistry to learn about all our financial and insurance options. Whether you just need a cleaning and checkup or want to explore restorative options like dental implants, we have you covered when it comes to fitting your treatments into your budget.